Cushing Memorial Chapel was built in 1943-44 as part of the Cushing General Hospital complex dedicated to caring for soldiers wounded in World War II. Its namesake, Dr. Harvey W. Cushing, was a famed neurosurgeon and World War I Army surgeon. 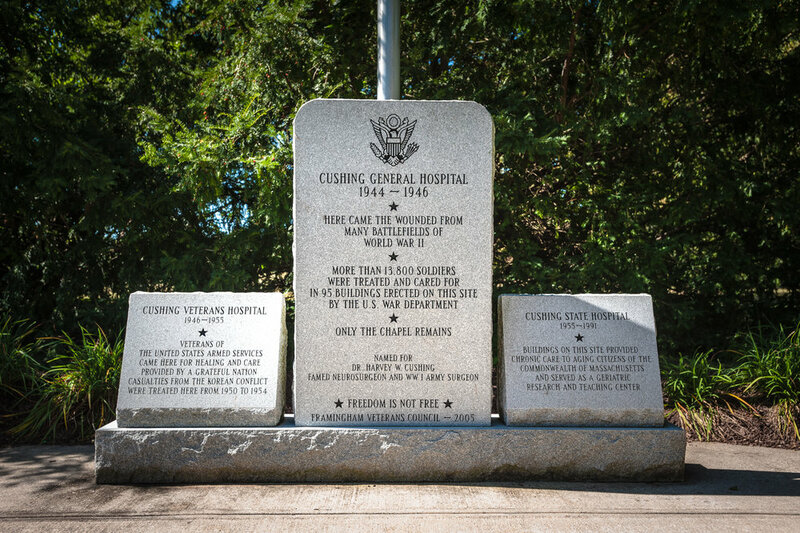 After the war, Cushing General Hospital became Cushing Veterans Hospital (1946-1955), and eventually Cushing State Hospital (1955-1991). The hospital buildings evolved and changed over the years, but after their demolition in the early 1990’s, the chapel was one of the only original structures left behind. A vestige of the hospital remains, however. 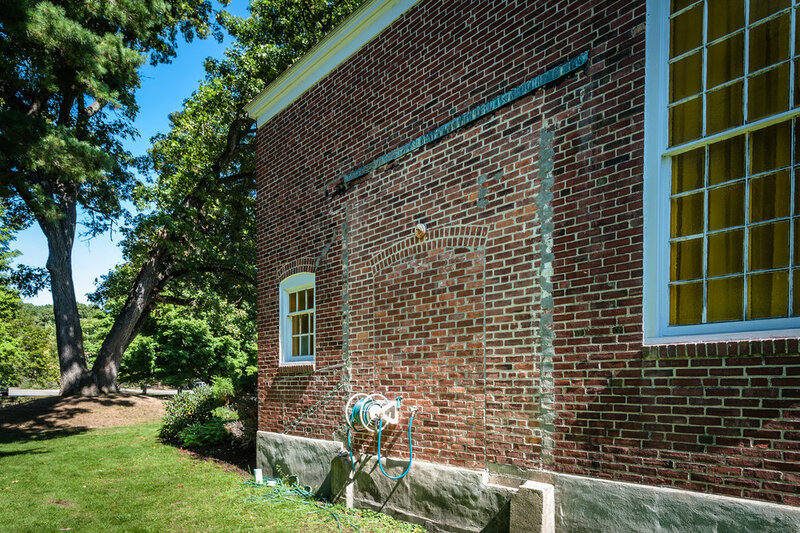 A tunnel provided safe access to patients and other visitors wishing to travel between the two buildings, and an outline on an exterior brick wall shows where they were once connected. Folding chairs now occupy a large empty space behind the last row of pews that could accommodate wheelchairs, gurneys or stretchers. 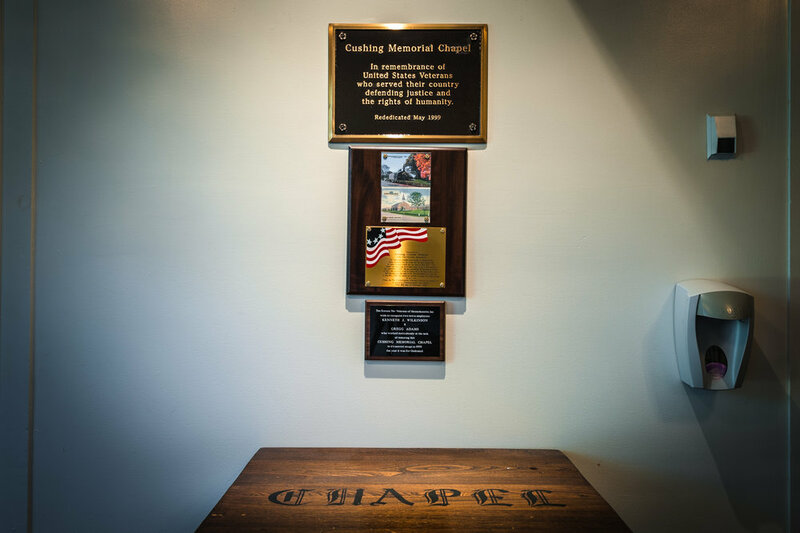 Now owned by the town of Framingham, the chapel was renovated and re-dedicated in 1999 by town officials Kenneth J. Wilkinson and Gregg Adams. 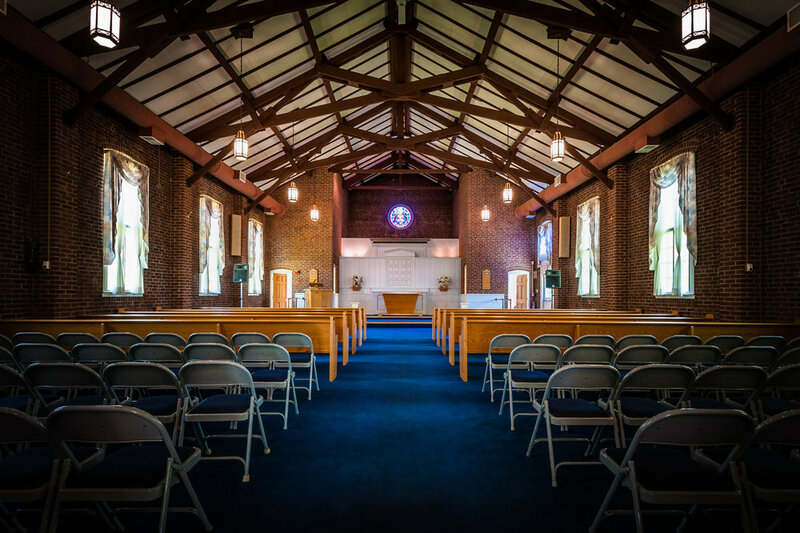 It seats as many as 300 in the main sanctuary and balcony, and today is used primarily for weddings, funerals, and veterans and civic events. Pews donated by the Rotary Club, Framingham Order of Eagles, local high schools, the Nursing Service of the Hospital and local congregations remain as do the original prominent stained glass windows. 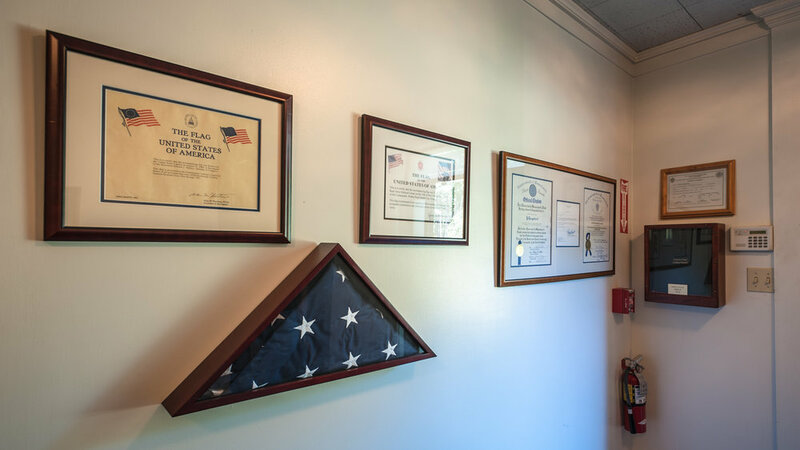 Numerous plaques and memorials honoring veterans are housed in the chapel lobby along with an original bible from 1944. 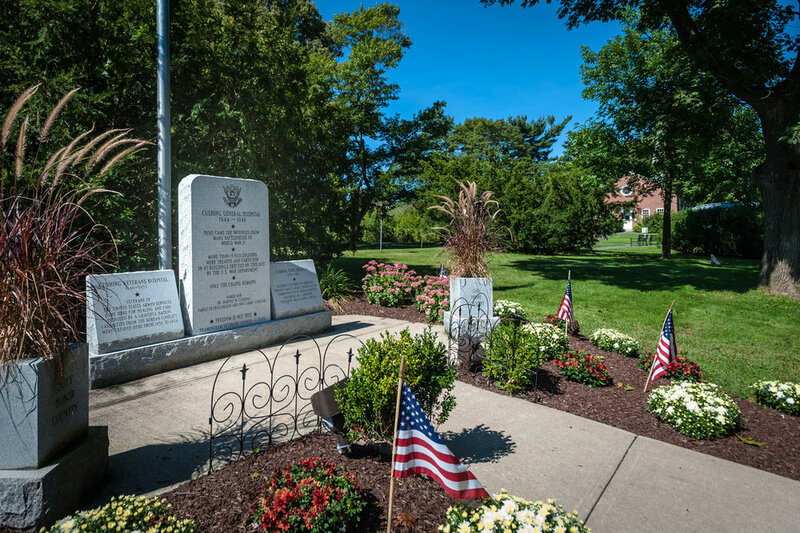 A short walk into Cushing Park brings a visitor to a series of granite markers memorializing the hospital. 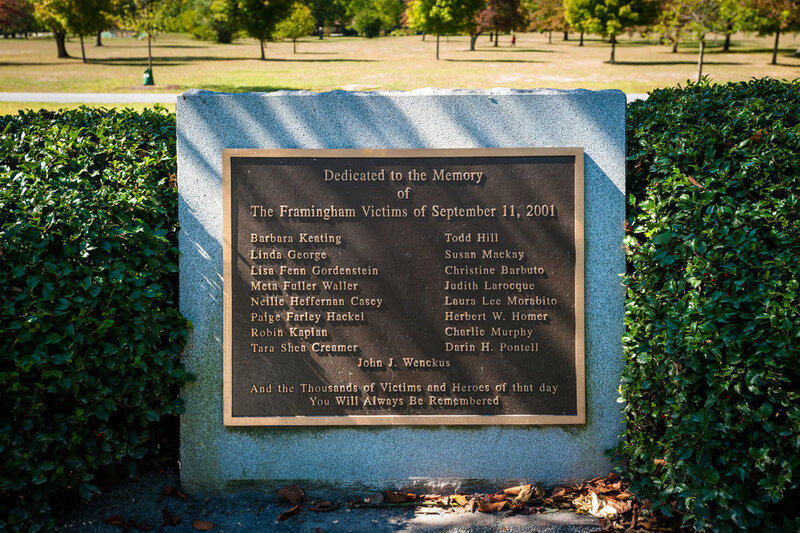 They were placed by the Framingham Veterans Council in 2005 and include the lines “Freedom is not free” and “only the chapel remains.” Further along the main path is a memorial grove and gazebo dedicated to the seventeen Framingham residents killed during the 9/11 attacks.